Walt Disney once said, "We keep moving forward, opening new doors, and doing new things, because we're curious and curiosity keeps leading us down new paths." If you are curious enough, you open opportunities and infinite possibilities. I was fortunate enough to meet a person whose knack for being passionately curious has driven to her to come up with a milestone in the Philppine calligraphy community. 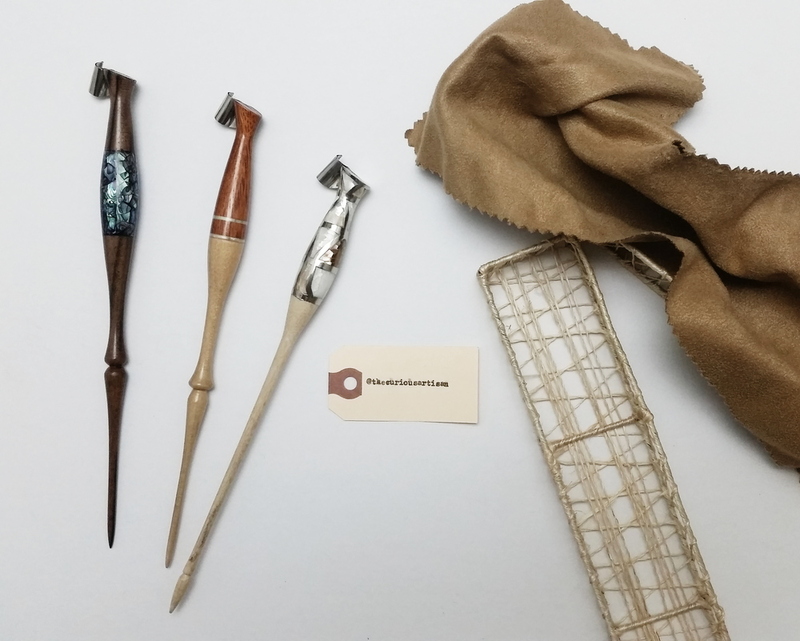 Lennie, or known as @thecuriousartisan, has recently released her series of locally handcrafted oblique holders which were named so apt, it screams FILIPINO. These beautiful holders are made out indigenous locally available materials like Mahogany, Oakwood, Camachile wood, Oyster shells, Paua/Abalone shells, and Mother of Pearl. The designs are so intricate and unique! Moreover, each pen has a signature foot called "The Curious Foot." Basically, it's is Magnusson-inspired and the flange angle is already pre-set to that perfect tilt to allow the user a more smooth and flowy writing! I'm not the type who hoards holders, believe it not. I've actually been just using an hourglass holder (which I still love) for the longest time that I have been doing calligraphy but these ones are too pretty to resist!